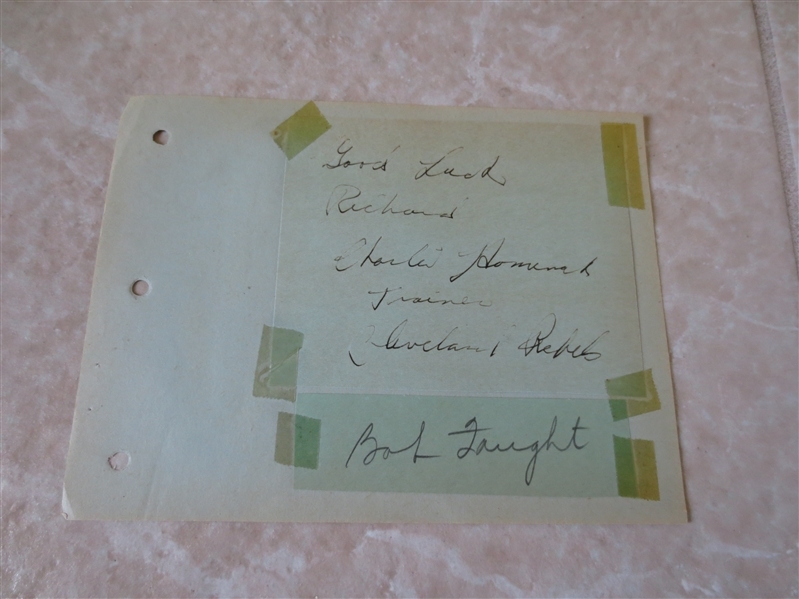 What we have here are autographs of two members of the 1946-47 Cleveland Rebels BAA Basketball Association of America members. This league would become the NBA. The autographs are of Bob Faught who played in college at Notre Dame and then with the 1946-47 Rebels. He died in 2002. The other signature is of the team trainer, Charles Homnak. Both are tough to find!